If you're visiting Miami's Brickell Key, don't pass by this gem. 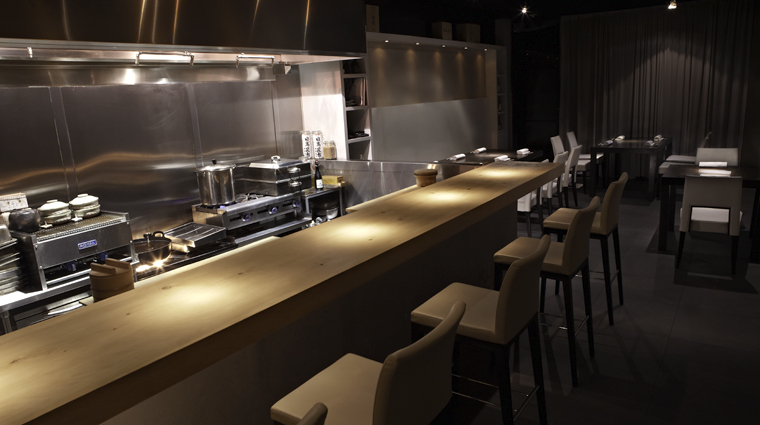 In this petite Japanese jewel box, only eight diners can claim seats. Chef/owner Kevin Cory and manager Wendy Maharlika treat you like a guest in their own home. Maharlika holds down the dining room while Cory single-handily prepares every dish that comes out of the kitchen — which means timing can sometimes be off as he keeps pace with the volume. But with food like this, you’ll hardly notice. 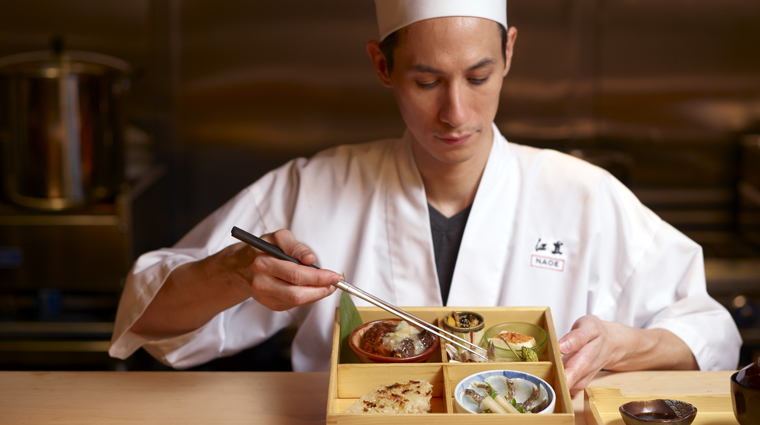 Meals start with the chef’s omakase bento box and then proceed to presentation after presentation of pristine and tender sushi delivered until you call uncle. House-made barbecue eel is sweet and toothy, and comes topped with the chef’s own special soy sauce. A mystery ingredient in the signature ice cream makes for a surprisingly delicious end to the meal. As soon as you step into the restaurant, you’ll be greeted by name and will receive a personalized menu. All of the staff are exceptionally friendly and as professional as can be. If you’re looking for an intimate dining experience, this is it. Because the restaurant never seats more than eight diners at any given seating, you will have both chef Kevin Cory and manager/hostess Wendy Maharlika’s undivided attention. Though the menu changes daily depending on which fish is freshly sourced from Japan and local harbors, recent dishes included house-made egg tofu with uni and miso-butternut squash soup. If seated at the hinoki (Japanese cypress) wood bar that overlooks the open kitchen, Cory will serve your nigiri and answer your questions about the meal, explaining how the uni (sea urchin) from Hokkaido differs from the uni from Santa Barbara. Additionally, the restaurant keeps track of what each customer orders, so when you return to the restaurant on subsequent visits, you’ll encounter wholly new dishes. 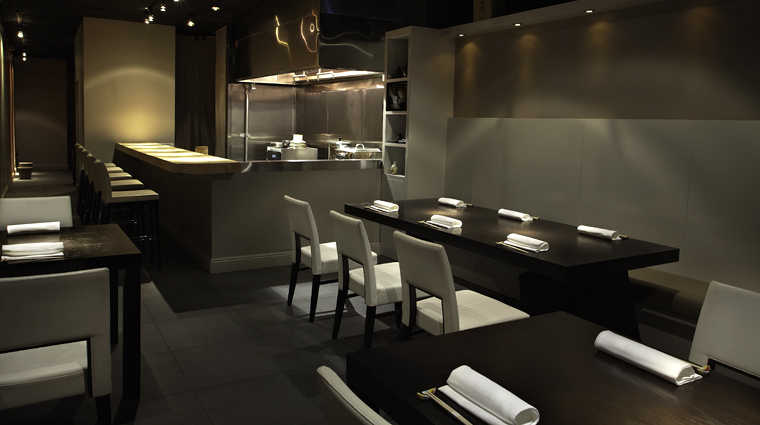 Given that NAOE has only 12 seatings each week, you'll need to book your table online in advance. Should your desired date not be available, you may opt to join the restaurant's wait list for that evening. A meal at NAOE lasts a minimum of two hours and will likely run two and a half hours, so you’ll want to plan your evening with that in mind. The restaurant is only open for dinner with two seatings available at either 6 or 9:30 p.m., and we’d recommend the earlier time slot so you can catch the staff when they’re freshest. Despite being a Forbes Travel Guide Five-Star restaurant, NAOE is casual, so you can come dressed comfortably and enjoy dinner without worrying about your wardrobe. The environment at the Miami restaurant is very much like sitting around your best friend’s kitchen table, so aside from showing up in your pajamas, just about anything goes. The menu consists of a significant amount of raw fish, it’s definitely a restaurant suited to more adventurous eaters. A vegetarian menu is not offered. 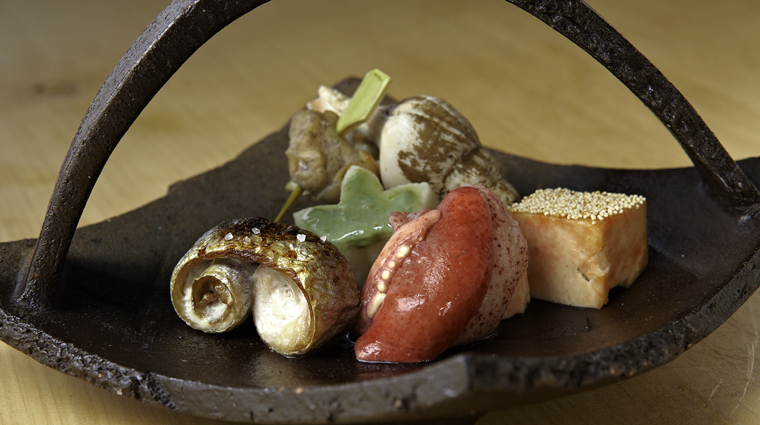 The menu is omakase, meaning that chef Kevin Cory chooses what you’ll be eating. There’s only a single option, which is $220 per person, and includes a four-item bento box followed by numerous rounds of nigiri sushi and dessert. The bento box is filled with mostly cooked items that offer a variety of textures, flavors and temperatures. It comes with a small bowl of miso soup, and the restaurant tries to use as many organic and natural ingredients as possible. Following the bento box portion of the meal, chef Cory will offer you individual pieces of nigiri sushi, which he’s brushed with his special blend of soy sauce. They’re meant to be eaten with your fingers instead of chopsticks. For dessert, you’ll first receive a palate cleanser of fresh and organic fruits doused in a traditional sauce of sugar and rice vinegar. Following this you’ll receive two slices of moist sponge cake and a quenelle of the restaurant’s mystery ice cream. You won't find fancy cocktails here — the restaurant serves a fine selection of beer and sake only. Nevertheless, its drink offerings are well curated if limited. The beer selection includes Asahi Super Dry and Ginga Kogen, which is a Japanese import that’s brewed in the German Hefeweizen style. For a more local sip, try a selection from Wynwood's own J Wakefield Brewing, whose seasonal brews are often included on the list. As for the sakes, the five types offered all hail from Cory’s family’s brewery: the Nakamura Brewery. It’s been operated since the 1800s in Ishikawa, Japan near Mount Hasukan. And if you aren’t a drinker, the Five-Star restaurant stocks a range of organic Japanese green teas, which are also an elegant way to finish off your omakase meal.